The Fort Wayne Public Art Commission is inviting area residents to share their opinions about public art at one of five pop-up meetings scheduled throughout May. 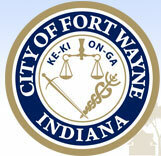 The 2019 Draft Annual Action Plan outlining how the City of Fort Wayne will invest U.S. Housing and Urban Development (HUD) dollars this year is now available for public review. Residents can view the plan online at www.FWCommunityDevelopment.org/actionplan or can read a hard copy during normal business hours at the Pontiac Branch of the Allen County Public Library, 2215 S. Hanna St., and at the front desk of the City’s Community Development offices, 200 E. Berry St., Suite 320.